I’m not sure about all you out there, but as a fourby enthusiast, as well as a general gear-head my biggest fear has ALWAYS been losing my pride and joy to a thief. I have always updated to high-spec alarms with multiple immobilisation points and kills switches which come at a cost, but provide some peace of mind. But in the back of my mind, I’ve always know that if someone really truly wanted to take my toy, they could. No matter how stealth the install, how carefully you park or choose where you take it, someone can and will find a way. I’ve been lucky so far not to have a vehicle stolen, but have disturbed the would-be thieves in the process – a learning experience that I appreciated as I would have become a statistic but would rather not have been through. So our MobileHQGU build is now pretty much finished – and with a sum insured of over 75k has had a lot of goodies thrown at it. As you all know, we take the stock value (roughly 40k for our 2013 GU) and then add the modification value on top (just over 35k). As my daily drive, it is usually pounding the bitumen between home, our Newcastle call centre and HQ in the Mountains. Overnight she’s in a driveway as she’s too tall to garage and as required, anyone from the team can take her to the various shows and events that we get out too. Given that she can be anywhere across the countryside at any time, I thought it was time to investigate security options. Like most vehicles manufactured post 1990’s, it does have a factory immobiliser which works via a transponder in the key that sends a message to the ECU – if they don’t marry up it wont start. Some vehicles have a factory alarm system, some being as complex as having microwave sensors to accompany the standard door/bonnet/boot sensors. The Big GU does without this nicety – so if someone was having a go at the accessories or had broken in, we’d have no way of being alerted. Something I’ve always considered and as a result have now decided to trial is a GPS tracking system. Whilst it does feel a little intrusive and “Big Brother”, I don’t really have much to hide other than the sneaky trip up a fire trail when I’m supposed to be heading home (lucky the significant other isn’t very techy!) 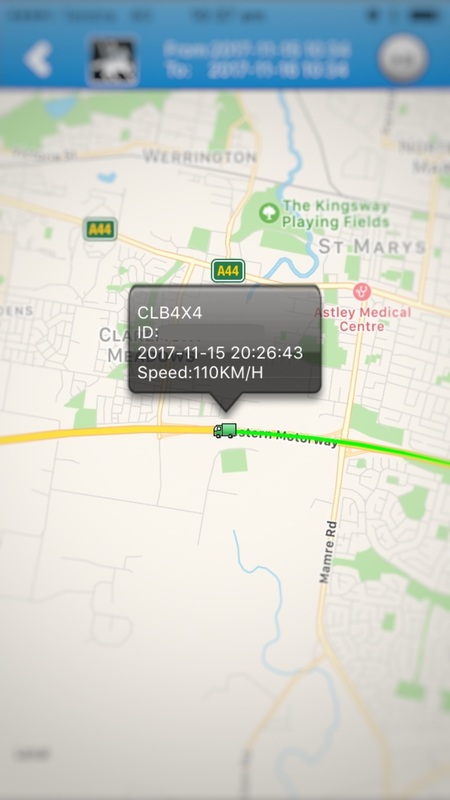 so I see a lot of benefit in being able to track where the vehicle is. Over the next month or so I’ll be testing out the functionality of the apps and software as well as checking suitability in off and on-road conditions, so look out for a review soon! Has anyone out there used a GPS tracker? What are your thoughts? Please do contribute below. I am currently trailing the Arlo Pro Camera System at my property and looking to incorporate in my vehicle, it’s only downside is it needs mobile connection in coverage area to work. You Need to install base station, N150 router and USB modem in vehicle, system works in real time and you get instant upload of video to phone or tablet. The EPIRB (Emergency Position Indicating Radio Beacon) is is for emergencies only – it has nothing to do with the article and what the bloke is trying to achieve. He is trialling 2 GPS units that will give him the ability to track the vehicle remotely from anywhere in the world 24/7. If a thief steals his $70 000 4×4 an EPIRB is useless. Great idea and piece of mind I reckon. If I still had my old fourby that was worth a bomb in mods I’d definitely look at this too. I installed a alarm & gps tracker in my 2010 GU as the first mod I did. My previous car & 2000 Pathfinder was stolen from the train station. They trashed it & stole of all my gear of out of it. The cops found it 4 days later. I’ve been pretty happy with the tracker so far. It rings me & sends me a text with the location if the alarm goes off. I can also text the car & it’ll reply with it’s current gps co-ordinates. So if it does get nicked I can send the cops on the right trail. Just a good piece of mind. The problem I see with that one is you need Phone coverage if the vehicle goes out of that coverage then you cant text it and you cant get a GPS co-ordinates from it. You need one that works from satellite and they cost a monthly fee. Any type of gps tracker that requires a phone coverage is almost useless if your away traveling. It really depends what you want to do with the tracker – when you’re remote enough where you don’t have reception, usually (and this is a generalisation i know) you are with it – camping out of it, or set up next to it. The items we are testing don’t work as emergency beacons – but the Spot has been mentioned here already. I have the Black Knight system on my caravan, tho it seems to work ok, mob range is a problem. eg. a 15000k`s trip around Australia ,only did 5000k`s. so if its stolen, the thiefs only need to take it to a area with no mob coverage. When l return from this trip l am fitting a system similar to what is used in Europe which enables the user not to have use a Work Diary. My haul vehicle is a 600 series Isuzu rated at 11 tonne GVM so a Diary is required. I am looking at two systems at the moment however l do not have the details with me, but they give a back to base type record plus an onboard memory which can be read by authorities roadside or your own laptop. Like the GU patrol l have nothing to hide as l rarely travel more than 4 hours in any one stint. I have used gps tracking for many years, for reasons known on,y to me, lol. I am trialing one now that uses any sim card and also utilises the gprs system. This means I can comtact the unit via sms, change the tracking mode, set ‘fences’ and get batter status. I then track instantly with the gprs system using none of the sim data. I get an sms on my phone when movement occurs, I the open the app and monitor the activity. Whilst I have it set as stand alone I will be hardwirng it for power. I understand Jaycar has one similar less than $300 and only other cst would be a sim card with minimal data. Will work outside of the phone networks if it can ‘see’ the satelites. Carry a frequency modulator ( phone scrambler ) when you rip the vehicle and then get it into a shed or garage the has a phone scrambler fitted, and you will never find it. That is the problem with all phone based GPS tracker systems. The better option is a three stage ( fuel, electrical, & movement detector ) immobilizer. Stop it from being driven away and make it noisy to attract attention. Having had our van stolen on 23rd January, 2016 (being 1year and 2 days old)from a mates factory, we were shattered. Placed it on the Stolen Caravan site on Facebook, got a call the following Friday night from Moorabbin , come and pick up your caravan ! Saturday morning went to look at it , could not recognize it . The low life had taken everything off and out of it and tried to repaint it , broke every lock etc. Upshot , were took it to the our dealer who repaired over 4 months , as brand new now. During repair asked them to install a Tracker (Alko/ Black Knight) , works a treat. However now we have to upgrade to a newer version as G2 is being turned off . We are getting a goo deal and a further 12 months free service. Can highly recommend this device. I was looking at the “Spot GEN3” and “Spot Trace”. These use GPS location and also have a SOS (Emergency Services) button if in Major Trouble. Trialed a friends Spot GEN3 in the Cape York. It worked get for tracking. I did find in dense woodlands it never traced the vehicle fully. So if the vehicle was stolen and parked in a shed you would not get a signal. However, you would be able to track it (on Google Maps) before it is parked, the device transmits every 3 to 5 minutes . The devices are responsibility price. But, an annual subscription of USD $219.99 is what make me think twice. I would like two devices one for the Ute and one for the removable camper/canopy. This brings it to $439.98 a year. I can hear most of you saying that is cheap insurance/security. I fully agree. It would be nice if Automotive Insurance Companies give you a discount on your insurance for having these devices. 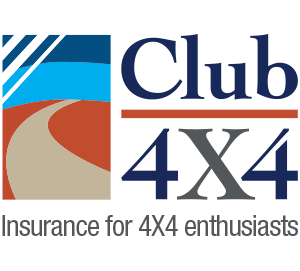 Hint, hint, Club 4X4 😉 . Even if the insurance companies have a list of preferred tracing devices. That would give “us” more discount on our insurance. Spot is cool as an emergency beacon, especially since it can operate off satellite, not GSM. But 3-5 minutes before an update could be a little long in our opinion, plus the expense incurred. I guess it depends what one is using it for. I have to agree with you Kalen. 3 to 5 minute updates could be a bit long. I think one model also sends you a warning if your vehicle is moved at all. Was original looking at a Spot Gen3 more as a personal safety device while traveling. Family and friends could track where is was. Also the device had a OK button to email a person you have arrive OK at you destination. I then looked at it as a tracking device. But, I think after reading this story there maybe better options. Yes – the systems being trialled currently have a couple of different geofencing options which trigger an alert when the vehicle has moved out of those boundaries. The Netcorp also has an ingition alert which is pretty cool. ie, at the moment after a certain time at night until a certain time in the morning i’ve got an ignition alert set on the GU, so if anyone tries to start it it will send a message, then if it leaves the geofence around my home it will message again. This is without even triggering the 14/7 surveillance team who depending on spec can work with the police to shut the vehicle down. Hi Colin, I looked at that same device but the yearly cost is way more then the discount you get from insurance but I do think they are a great idea. They don’t work from a phone coverage and are much better then some of the others that need the phone coverage. You keep talking like that you’ll make Kalen nervous lol , I’m work in transport and our trucks are tracked by three different gps systems including dash cam footage plus tracking so it’s not possible for us to misplace a vehicle . haha! we will be looking at various ways to make use of a GPS unit attractive as it is a risk mitigant for everyone involved. Ive been designing and building systems since the early days of in vehicle HF radio and appreciate the application of technology. However it is important to note that these systems are only as good as the signal bearer. Concealed gps and mobile antennae have much more limited range than, for example a dash mounted phone. For example a vehicle parked in an underground car park for a few days in Sydney has almost zero protection and can easily be disabled before any alerts can be sent. Backup store and forward style alerts enhance security but only after the event. Your vehicle could be stripped and parted before any alert is ever sent. Worth remembering when looking at cheap systems off ebay. Installation and battery is the key to a good system. We use Spot Trace on the caravan. Has a geo fence and sends data to you when tracking. Satellite or Google maps of your location. both systems probably rely on gprs/gsm technology. system can easily be circumvented by a pro thief if he’s got one of those handheld wireless jammers, jams both mobile and gps signals and your pride and joy is off to the chop shop. still, nothing beats a loud blaring alarm sound coupled with ultra bright led spot lights on my driveway plus my own diy killswitch which no one knows about not even my best mate. external accessories are easy to replace, my fully decked out 105 is not. that’s my 2 cents. We have a Black Knight absolutely fantastic . You set your geo fence and if it is breached our two phones and two iPads are emailed with a breach notification and then you can track it on the map on those devices in real time. And obviously notify the police as to where it is and you can follow it yourself in another vehicle. And the big yes for me is that it supported by the police for rapid theft response. We have the Blacknight fitted as standard from the caravan manufacturer. We have no experience with it as yet so certainly interested in any comments. The van will be kept in a licenced secure storage as we live in an apartment so we certainly have invested in good security measures. I have 2 SPOT units, one is a CONNECT and the other is the personal orange coloured one. These work OK as a personal thing, but eat batteries and will only stay switched on for a certain time. A hard wired TRACE unit maybe a better choice, maybe. Needs to be mounted on exterior of vehicle to get good view of satellites, can be easily disabled with alfoil. yep – and when the tilt pulls it up on the tray, the gyro in the GPS sets of an alert 🙂 But your right, nothing is foolproof. Our experience has shown that the majority of theft for our types of vehicles (where it is a legitimate theft) seems to be opportune. These guys aren’t going to be carrying around a signal jammer let alone looking for where the tracking system is. Remembering that if they don’t know its got a tracker they wont know to use a jammer! I have a gps tracker on my car and have had my car worked on due due getting stuck in limp mode on my trip! Each time the service centres said they had driven it to test it consistently! Guess what? They didn’t! ha! interesting. What you do find though is that when you give it to someone other than yourself, you need to let them know that it has a tracking system! Get a giant dog or a monkey. Cheapest alarm system ever. No one wants to piss of a monkey in confined spaces and a big dog always works. And you also have a faithful companion to great you when you get back to your car. Only downside is feeding them. Corrrect interpretation there. EPIRB a separate issue. GPS tracker protect the most valuable property. It’s very important for car. you need a solution to monitor and protect these cars. Let me explain a few ways of GPS tracking for car. Companies can track all their cars in a live, map, even if the car is stolen, it is able to know the exact location and take a positive action ,alert ,notification and driving reports.